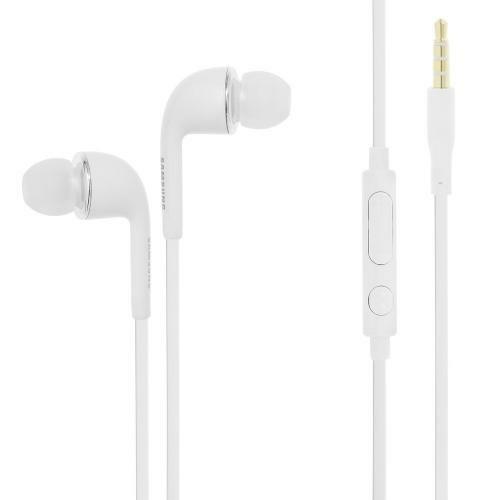 AccessoryGeeks.com | Samsung White [3.5mm] Flat Cable Stereo Headset Earbuds w/ Volume Control & Mic | Free Shipping! The Samsung White Universal [3.5mm] Flat Cable Stereo Headset Earbuds w/ Volume Control & Mic is lightweight and comfortable. This Stereo Headset enables you to carry on conversations while you continue to do other things (For Devices that Support Phone Calling), including listening to music on the go. Universally compatible for use with other devices having a 3.5mm connector/jack. Comes with Remote and In-Line Mic. These are really great, fun, and easy to use. The sound is amazing and this is a great headphone for listening and recording my music! Very pleased with the purchase. Used this while traveling in Southeast Asia for a month and it worked beautifully! It's nice and lightweight but it's firm and sturdy enough. I enjoy my music! Thanks! 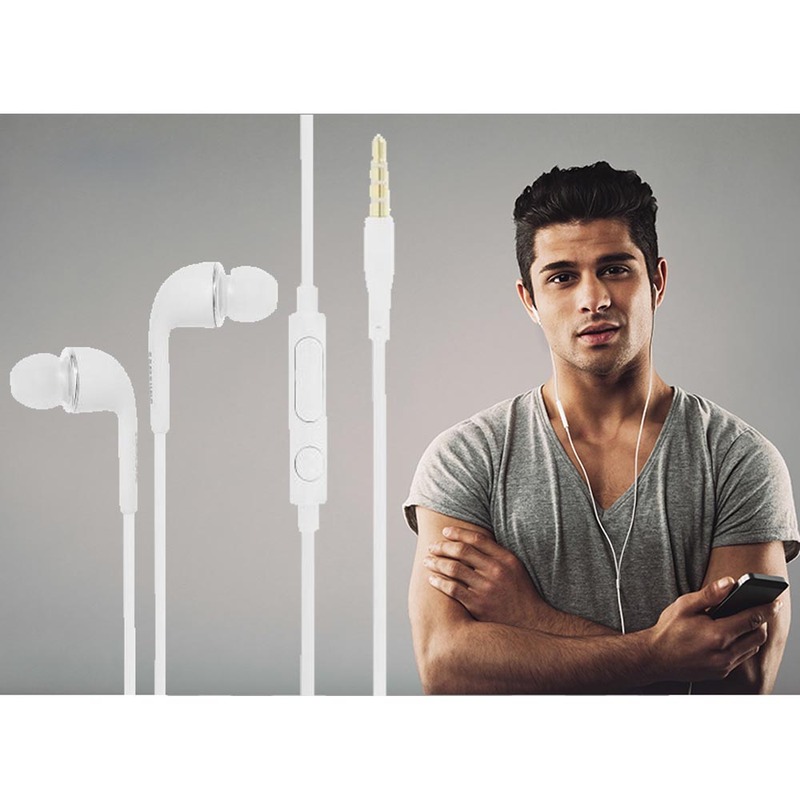 Great earphones, well made, comfortable with excellent sound quality. Would definitely purchase again. I have had these now for just over a month and they work great. 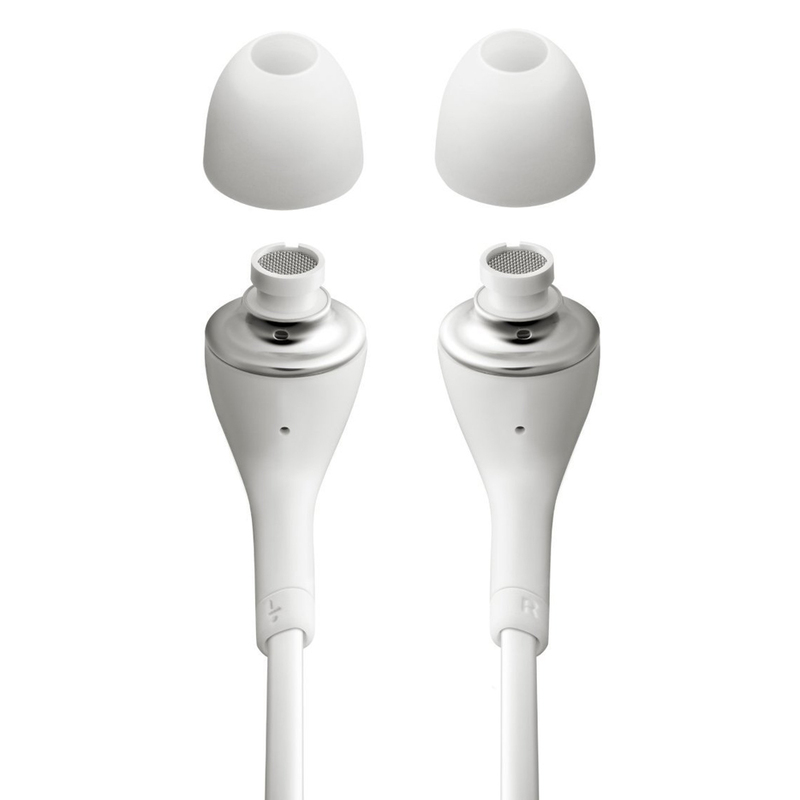 The sound quality is good for both listening to music and when talking on the phone. I use these daily to listen to music while at work and when working out. They are really tangled free ear phone. I used earphones a lot and I have tried a lot of different brands in the past but this one really works perfectly for me. I love how the sounds was so clear. For this price everyone can afford to buy the original Samsung ear buds.